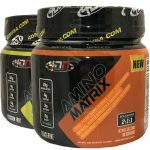 The price for 2 X 4D Nutrition Amino Matrix (30 serv ea) drops from $39.99 to $15.99, when you use Supplement Hunt coupon code matrix2 during checkout. This is the lowest price we’ve seen. Deal Categories: BCAA.Stores: All Star Health. Buy one Ultimate Nutrition, BCAA Powder 12,000 (60 serv) & get one FREE for $28.99 at checkout (Add one to your cart). Even with $5.95 flat shipping, this is the best total price we saw by $27 and an amazing price for 60 quality BCAA servings ($6.5 for 30s?!). Deal Categories: BCAA.Stores: TF Supplements. 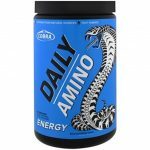 The price on the Cobra Labs Daily Amino (30 serv) drop from $19.99 to $11.95 at TF Supplements. at checkout, and bring it to $10.40. This is the best total price we could find. 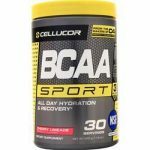 The price for the Cellucor BCAA Sport, Cherry Limeade (30 serv) drops from $23.99 to $13.59 at All Star Health. This is the best total price we saw by $6.